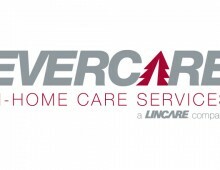 Lincare recently acquired Evergreen, and in-home care service. The acquisition caused for a new service name and new logo; enter EverCare. Designed under ThinkTank Studio.